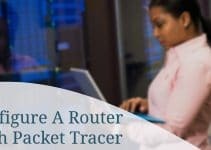 Packet Tracer 5 is a software suite used to train computer-networking students for CCNA certification. Its primary aim is towards students that don’t have constant access to a Cisco network of devices. It comes standard with tutorials, help topics, and troubleshooting tips that are present in every layer of the OSI model. Packet Tracer 5 has gained its reputation as succeeding where other technology software suites have failed. Whereas one may argue that it’s impossible to teach “hands on” experience through reading and using programs, Packet Tracer 5 throws a few curve balls at students. If you notice that you can’t receive data over the network you’ve just created, you might have to check that you turned the router on first- just as you would when dealing with a real network! 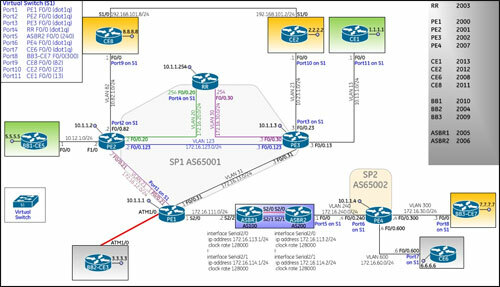 Cisco’s Packet Tracer 5 is ideal for printing out schematics when it comes time to assemble a physical network. Instead of the paper full of scribbles and eraser marks, you can have a freshly-printed schematic designed to perfection. Printing out the running configuration also saves time in initial router setup. The good news is that Packet Tracer is among the best in network simulation software- and it won’t cost students, alumni, and faculty a single penny to use. Those who have been members of the Cisco Networking Academy will get full access to the program, and its updates, via the Cisco.Netacad.net login portal. The bad news is that the program isn’t public; everyone else will have to find other means of obtaining it. Cisco doesn’t endorse the ability for outsiders to use their software. 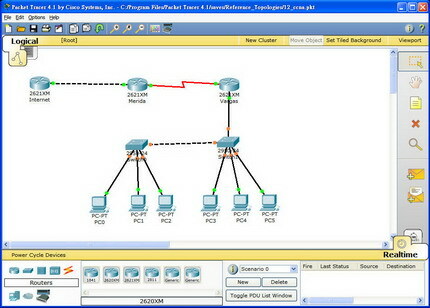 Packet Tracer 5 is free software that Cisco gives as an incentive for students to take a CCNA course. Software of its caliber would otherwise cost upwards of several hundred dollars or more. Self-learners are not without options, however, for they may either find alternative sources of downloading the material or side with another software suite. The three major competitors are Boson’s Netsim, Dynagen, and GNS-3. Boson’s Netsim – Netsim is the only one of the three that isn’t open source. Licensing ranges from $199 to $499, depending on the license necessary. Netsim is ideal for classrooms as it comes loaded with tutorials, quizzes, labs, and grading functions. Dynagen – Dynagen is a front-end used with the Dynamips Cisco router emulator. The documentation isn’t the best for beginners to browse through, but it’s a free solution that is hard to beat. 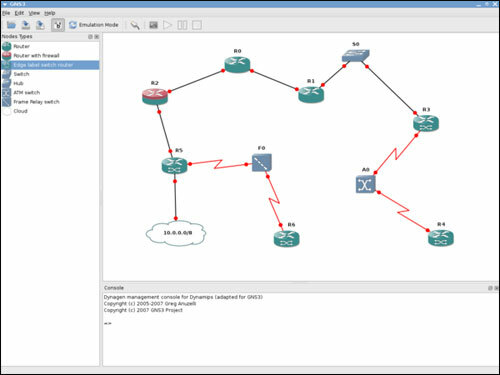 GNS-3 – GNS-3 is also built to work with Dynamips. It’s considered to be more user-friendly and intuitive than Dynagen. It also offers video tutorials to get started and free support via forum in case problems arise or questions are formulated. [link removed] – Please consult Cisco for a download. Don’t expect Packet Tracer 5 to be a walk in the park. It’s a development program, much like AutoCAD, and will take a moderate amount of time in learning. You may browse the included help files in the program or browse tutorials on Learn-Networking.com for a quick start guide on getting ahead in your CCNA course. Great, thanks for the download! I couldn’t get Packet Tracer through the old Cisco website, despite being a previous student. Lots of searching just to get this gem of a program. I just downloaded Packet Tracer 5 via your last link– it works great! I look forward to reading any video and web tutorials you come out with on Packet Tracer. I remember the days of Packet Tracer 4. After upgrading to Packet Tracer 5 and learning the new tools & interface, I’m glad I made the switch. It has been a lot easier for my students to grasp concepts in network topology, design, and troubleshooting. Great job on Cisco’s part! I think this is a very good site for an advanced or primary computer networking student. It’s been a great help to my study group. I want to download packet tracer setup in order to increase my studying. I want to download packet tracer setup to enhance my learning on networking. i can’t download your FREE packet tracer…..
Really i got a clear idea abt the concepts which i have some doubts . Thank you verymuch for this free service that you are providing online somany students will be benifitted by having this software this very good stuff that you are choosen. appreciated..
Hey thanks a lote for this tremendiouse service. why I can’t download paket tracer? Please I ccna certified and wish to download packet tracer. I try to download Packet Tracer but nothing happens. I am taking the CCNA course through Avtech Technicology. Please send the link so I can download it. I just wanto to let you know my own experience. To study for my CCNA exam, I used Packet Tracer and GNS3; however, since Packet Tracer is a simulator, it doesn’t include all the commands, but is a very good tool. GNS3 is excellent, GNS3 is an emulator, and since it uses Cisco IOSes, it means your are working with the real Cisco IOS where all the commands are available for you. (google is your friend on finding any Cisco IOS). After learning how to used it, I stop using Packet Tracer, GNS3 is much better. I really recommend this free software. I don’t have experience with Dynagen, but I have been told that is excellent too. Last, don’t waste your time and money with Boson’s Netsim. Just expend some time learning how to use GNS3 and you will be in good shape. please send me link of this. I would like to work on Cisco Networking include Routing and Switching, Security, Wireless and Design. Can you please send me the free download link for Packet Tracer 5. I would really appreciate. Thank you in advance! kindly make available this software so that those of us from less privilege homes can practice and write Cisco exams – our dream. I need the Packet Tracer please help me to get that . this software is essential to network learning and development. your product will be of good help to me after my comptia certification course.Help me to get a free download. pls can somebody send me cisco packet tracer either 5.0 or 5.1 link to my mail box. where I can download free without any log in, to practice for my ccna exam. thanks. Hello, I am currently studying for the CCNA and would love to practice with the Packet Tracer, please let me know where I can download a copy of the program. Thanks! Can you send me a link for free download! I was a student at DeVry University when upon entering my senior I was informed that I had run out of funds. I’m trying to learn on my own. I did have packet tracer before but my system crashed and lost it. Would you please send me a link so I can download packet tracer? I need to practice with the packet Tracer,please help me to get a free download. Sounds like a great idea. 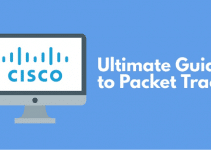 Im a beginner with Cisco; would you please send me the download for packet tracer. Also i have sit in on CCNA classes before i decided to register and the overwhelming problem in 3 schools i saw was knowledgeable instructors that were not either patient or able to break it down for understanding. I felt like i was listening to E=Mc2. I want have downloaded GNS3, but I need help to obtain the IOS. I am trying to find packet trecer but it is not working what should i do. if you imegose can help it will be very glad.